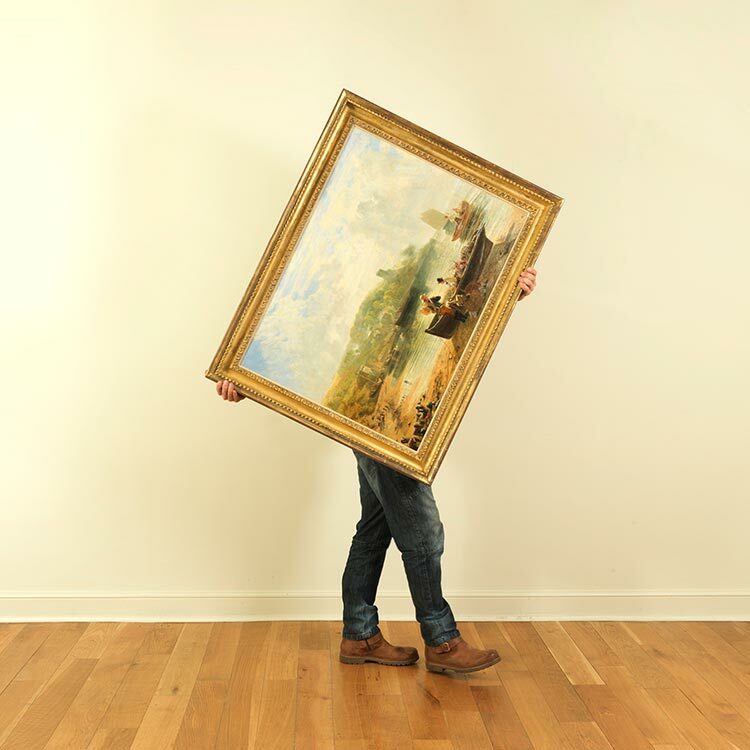 Messum’s has a respected heritage as one of the country’s leading British art galleries, not only a pioneer in the field of British Impressionism and the Newlyn and St Ives Schools, but also a specialist in exhibiting contemporary British art. 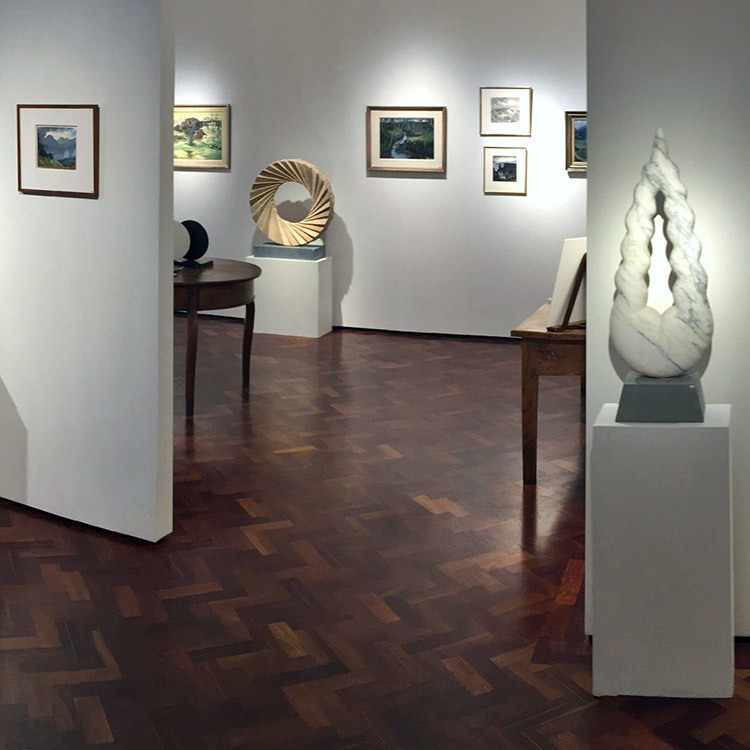 Founded by David Messum in 1963, the London gallery has played a pivotal role in Cork Street’s long-standing reputation as a centre for the British art trade. 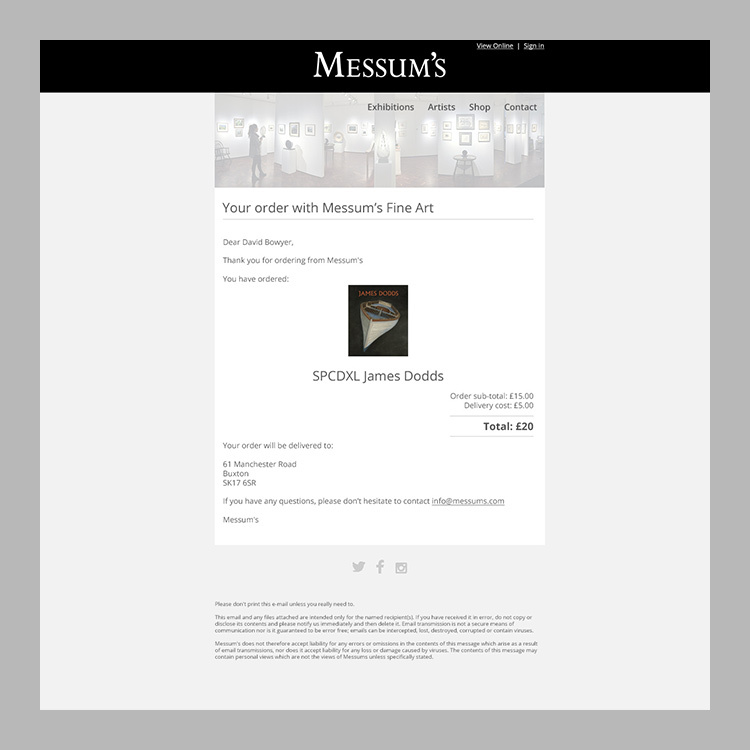 Messum’s offer Contemporary art exhibitions. 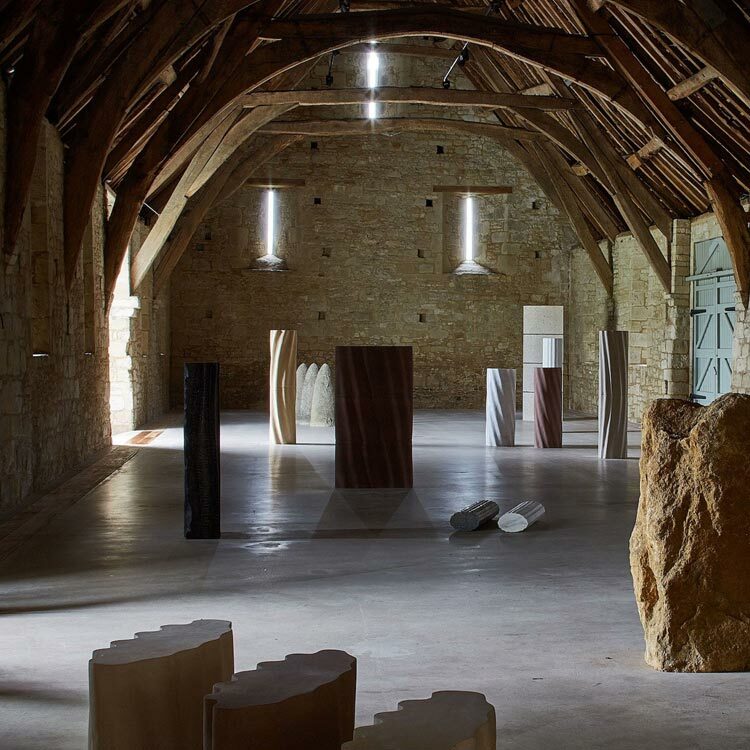 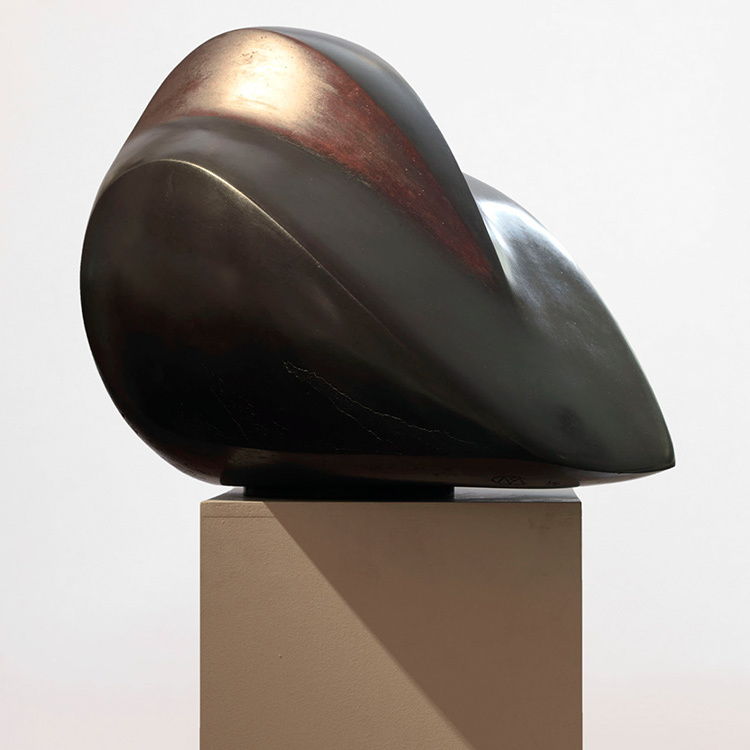 With around a dozen exhibitions annually, the London gallery, Marlow studio with sculpture gardens and Wiltshire Barn provides a wide-ranging arts programme. 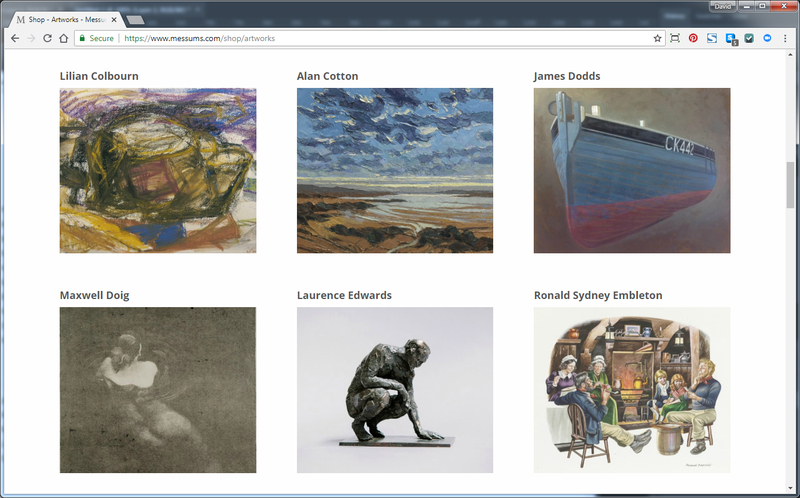 Each event is supported by a fully-illustrated catalogue, as well as on-line exhibitions. 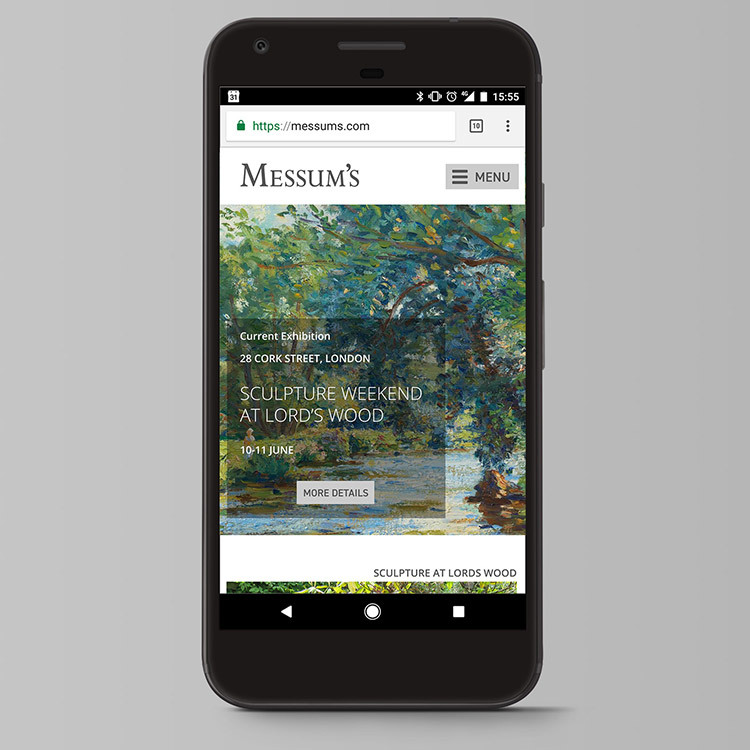 Working with the Messum’s family business for over five years to initially restructure the database of artists and fine art. 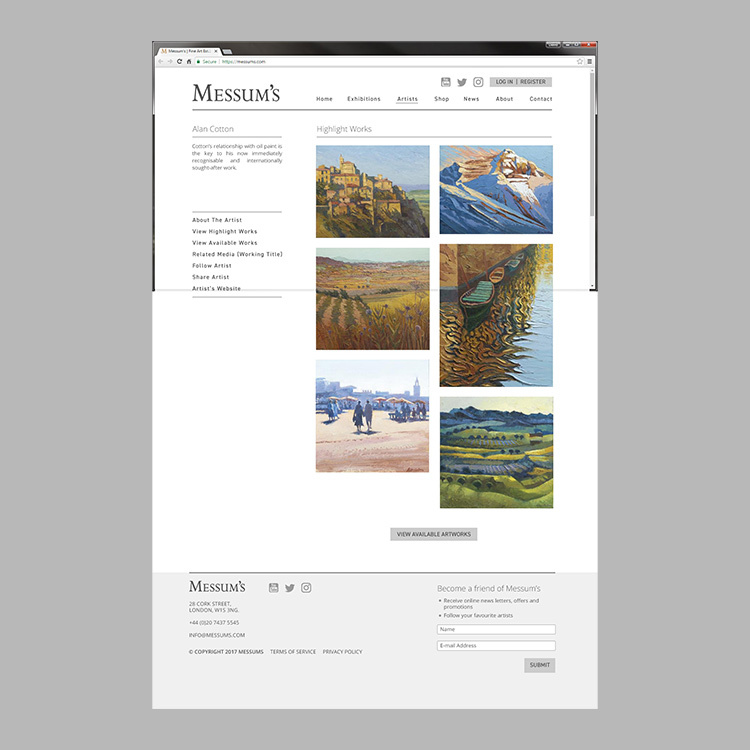 In 2017 MM&B designed and developed the online shop and in 2018 we launched Messums Online with simple bidding and auctioning options for art collectors. 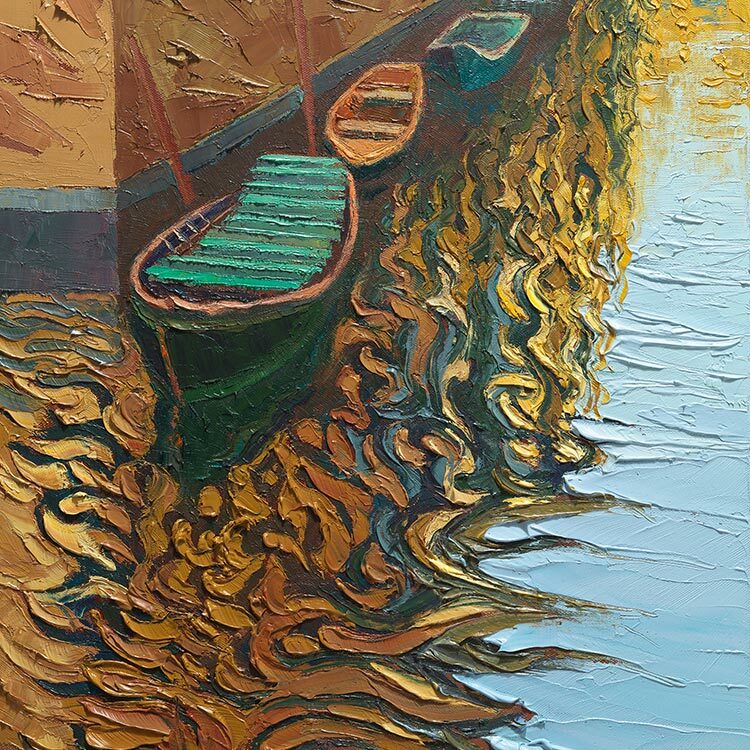 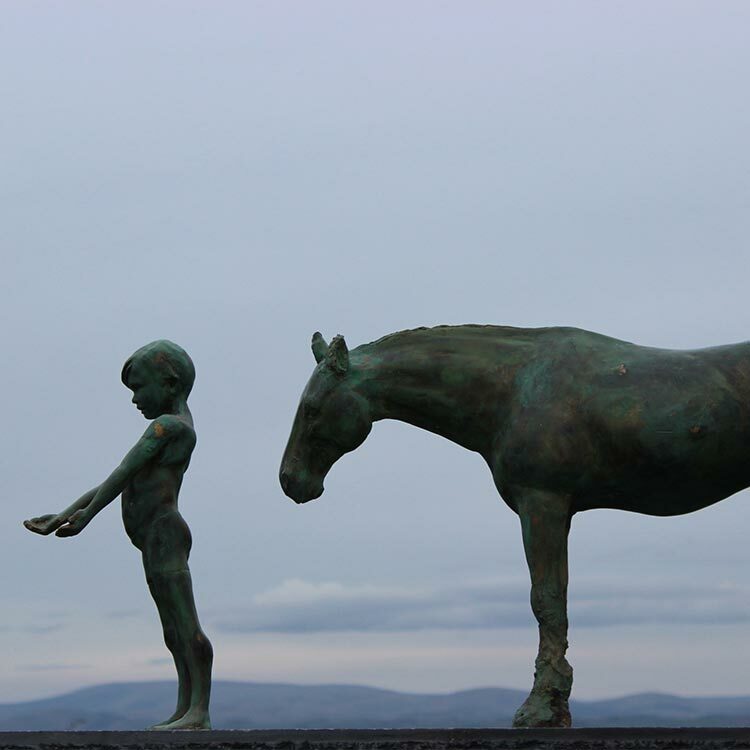 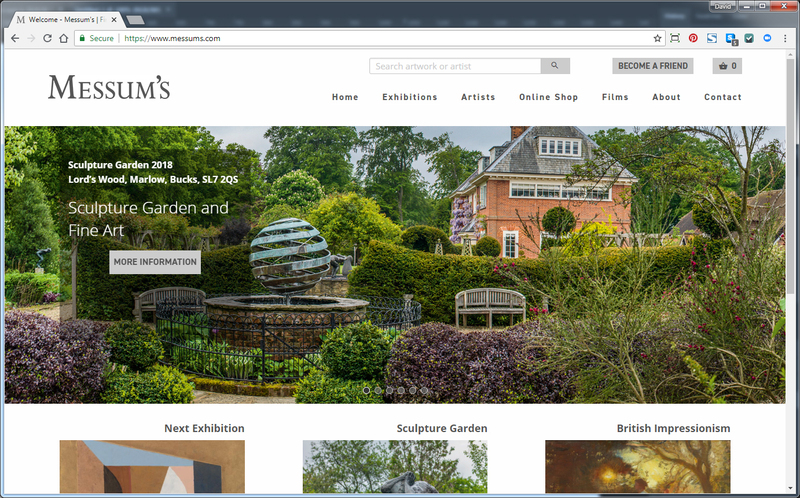 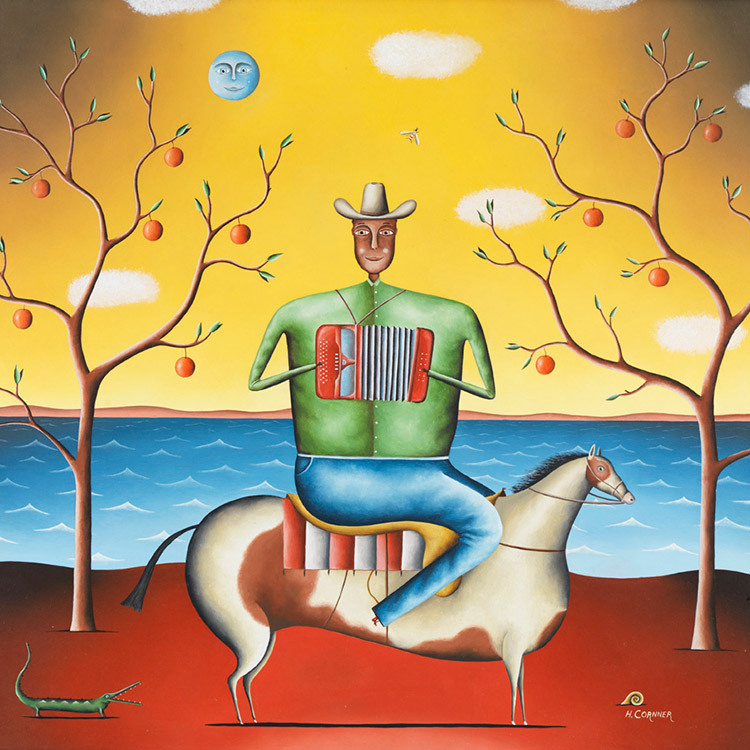 Ongoing improvement of functionality for reviewing, cataloguing, purchasing and invoicing the sales of their extensive collection of gallery artwork. 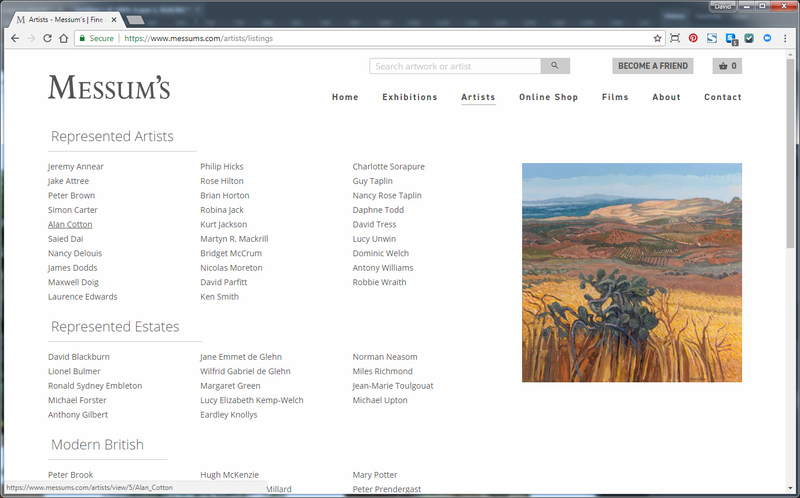 Efficient and effective updates, featuring brochures on new artists exhibitions and detailing services. 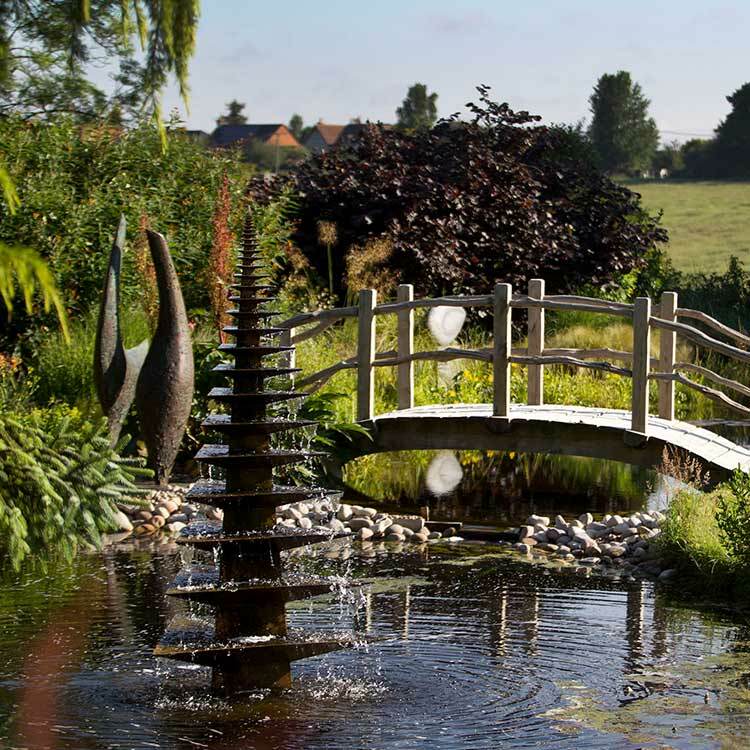 Succinct database management with auto email software to monitor and manage subscribers effectively.